Here is another picture of a plant I planted a couple years ago and do not remember what it is. 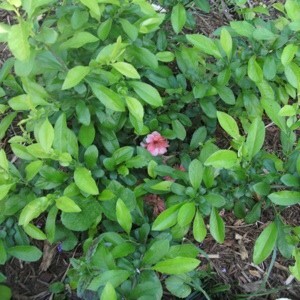 It has soft leaves, branches extend out from center of plant and there are small peach colored blooms at the bottom center of plant. Call your agriculture extension agent or take it by their office. They will identify your plant for you or sometimes you can go to an old nursery in your area and they can tell you. Thank you, I will try that. Have a good day.